I've been having lots of trouble sleeping lately. Life is getting a bit overwhelming and I've got a lot going on that makes it a bit tough to fall asleep easily. I've been taking unisom but I don't want to be dependent on a pill to fall asleep and I know it's not helping me sleep easier. It's just helping me fall asleep fast. 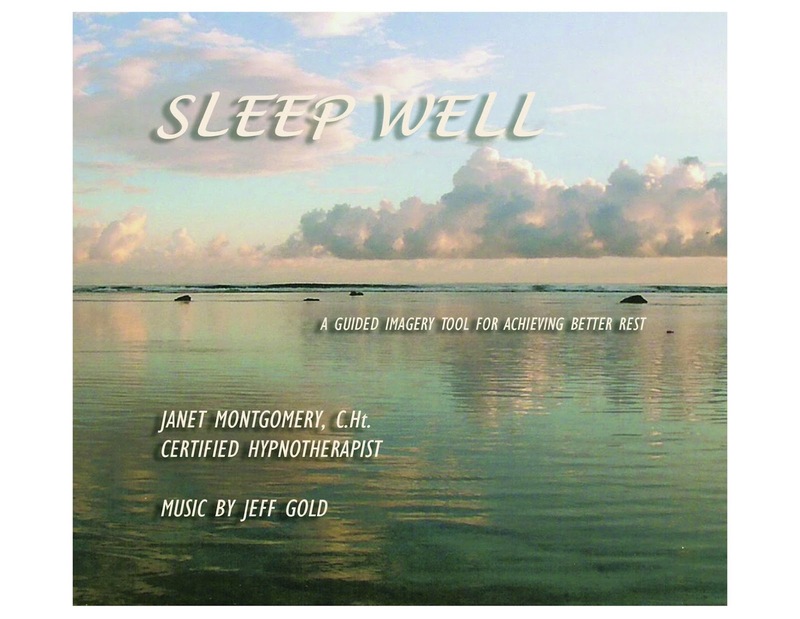 On came the Sleep Well CD by Janet Montgomery and Jeff Gold. Janet is a hypnotherapist with a super soft voice that pretty much gives you a relaxing session whenever you want. I'm a huge supporter of people working in the mental health industry so I was able to listen to this CD with an open mind. The music in this CD is very relaxing and goes great with her voice. It helps put me in a really calming place and lets the stress of the day be washed away. It's pretty much like having someone read The Secret to you before bed so that you could go to bed super relaxed and positive and wake up the same way as well.